Boxer Puppies - Visit Petland in Fairfield, Ohio Today! 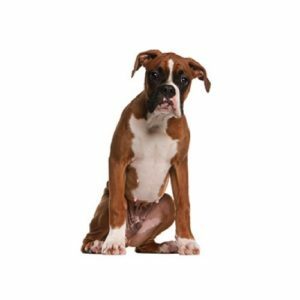 The well-conditioned middleweight athlete of dogdom, the Boxer is a powerful dog with an intelligent and alert expression. While they are instinctive guardians, the Boxer loves to be with his people. This personality has allowed them to succeed as couriers during war time and as seeing-eye dogs for the blind. Appearing in both fawn and brindle colors, the Boxer currently ranks as one of the most popular dogs in the United States according to AKC Registration Statistics. One of the breed’s most notable characteristics is its desire for human affection, especially from children. The Boxer requires little grooming, but needs daily exercise. The Boxer gets along great with children, often protecting them from outside threats. The are also very intelligent, therefor easy to train and housebreak. Ranging in size from 21 _ inches to 25 inches tall at the shoulder.